I recommend it. good quality. exactly like the photo. recomendo. boa qualidade. exatamente como a foto. 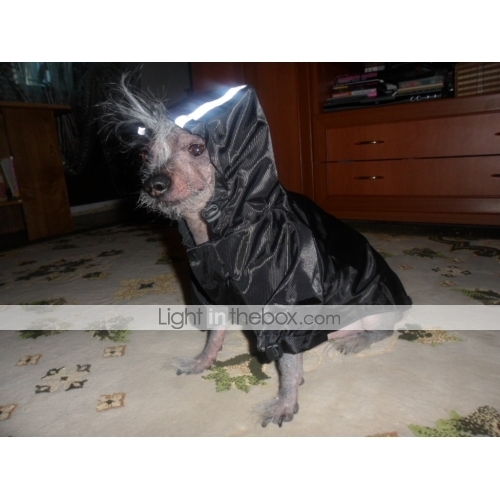 Lovely jacket, just for such a serious my dog ​​breeds Chinese crested, expect to walk in rainy weather, very convenient. At our size, the back is 40 cm, the chest is 45 cm, they ordered L all fit, but fastened tightly, we hope for spring and summer to throw off the weight collected in the winter. Thank you for the prompt delivery. Thank you!!! Милая курточка, как раз для такой серьезной моей собаки породы китайская хохлатая, расчитываем гулять в дождливую погоду, очень удобно. На наши размеры спина 40 см , грудь 45 см , заказали L все подошло, но застегнули плотно, надеемся за весну и лето скинуть вес набранный зимой. Very nice but it arrives really late! Very nice but it arrives really late! 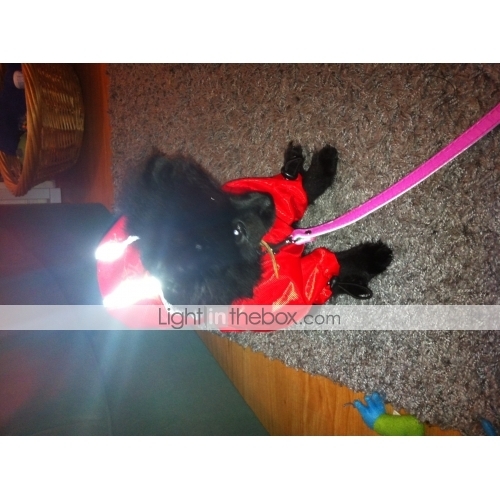 Perfect for rainy days....Adorable! Perfect for rainy days....Adorable! Good quality but runs on the small side. Definitely get a size bigger than you expect you need. Good quality but runs on the small side. Definitely get a size bigger than you expect you need. Good quality product. Size was a bit smaller than expected. Good quality product. Size was a bit smaller than expected. Great quality. Order arrived in 30 days and I did not have to pay tax. Ótima qualidade. Pedido chegou em 30 dias e não tive q pagar imposto.